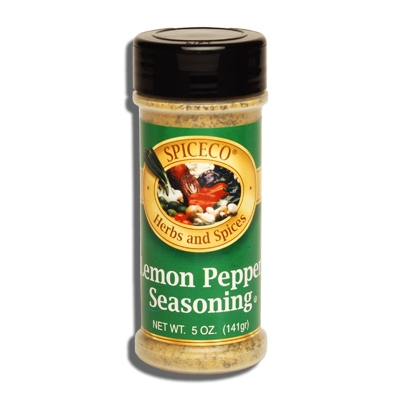 SPICECO, LEMON PEPPER SEASONING (SMALL) | Bende Inc.
Spiceco Lemon Pepper Seasoning (small). A blend of salt, lemon peel powder, black pepper, msg and other spices. 5 oz (141g).